Welcome to The Reading Room where you will find links to free articles and free downloadable books and materials to inspire your further adventures in wonder, study, and learning. Enjoy! his exciting adventure of discovery. 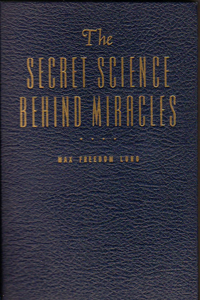 This book is Max Freedom Long's seminal study of Huna and his casework files on Huna from history to magical instant healing and how it works. Max Freedom Long presents a summary of so-called magical practices in the light of Huna concepts, written in his inimitable style, with just a touch of humor combined with some serious and very practical instructions...in four easy steps. A veritable treasure trove of information on the history, practice and techniques of hypnosis and Mesmerism in a new light of Huna Teachings on Self Suggestion. A must read for hypnotherapist and those practicing self hypnosis. In his seventy-sixth year, Max Freedom Long wrote a series of stories for children based on Huna. His unique gift of wit and imagination were brought into full play. This is the full transcript including the original sketches. 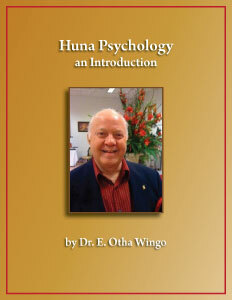 Dr. Wingo describes the basic concepts and tenants of Huna Teachings. Using Huna is Like Turning on a Light-Switch or Pushing a Button! This little article is designed to show you simply and easily EXACTLY how to "turn on the switch" of Huna, so that you can get the results you want. Henry Maurice Dunlop Nicoll (July 1884 – August 1953) was a Scottish psychiatrist, author and noted teacher. Dream Psychology is his Jungian analysis of dreams and the subconscious. Sigmund Freud (1856-1939) , one of the twentieth century's greatest minds, was the founder of the psychoanalytic school of psychology. “Dreams may be thus stated: They are concealed realizations of repressed desires." 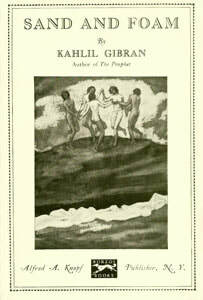 Kahlil Gibran’s masterpiece. The Prophet is a collection of poetic essays that are philosophical, spiritual, and, above all, inspirational. The seminal work by Manly P.l Hall, (1928) this book is perhaps the most comprehensive and complete esoteric encyclopedia ever written. The sheer scope and ambition of this book are stunning. In this book Manly P. Hall has successfully distilled the essence of more arcane subjects than one would think possible. He covers Rosicrucianism and other secret societies, alchemy, cryptology, Kabbalah, Tarot, pyramids, the Zodiac, Pythagorean philosophy, Masonry, gemology, the identity of William Shakespeare, The Life and Teachings of Thoth - Hermes Trismegistus, The Qabbalah, The Hiramic Legend, The Tree of the Sephiroth. Note: This was meticulously converted to PDF by John Bruno Hare between 2001 and 2004 as a labor of love for the work. Unfortunately some of artwork and graphics are still in Copyright status and not included, but many embedded thumbnails link to larger formats online. Sand and Foam is another short read with an incredible collection of parables and aphorisms, which in true Eastern style draws on a world of kings, hermits, saints, slaves, deserts, animals that talk, and wind that laughs. For more great choices - Check out our Faculty Books and Products Here.